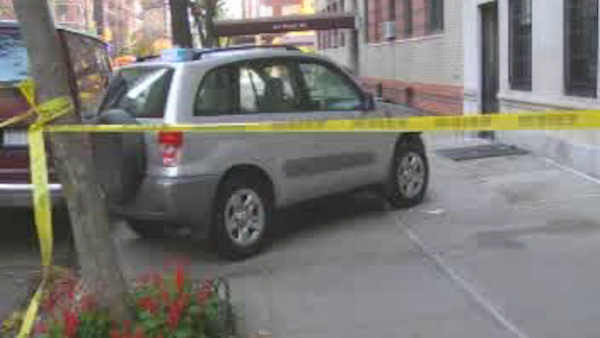 UPPER WEST SIDE, Manhattan (WABC) -- Two pedestrians were injured, one critically, when a car jumped a curb on the Upper West Side late Thursday morning. The incident happened around 11 a.m. on West 96th Street. Authorities say a silver Toyota Rav4 jumped the curb and careened into a 63-year-old woman and a 59-year-old man. The woman was unconscious at the scene and suffered a serious leg injury, and she was rushed to Mount Sinai-St. Luke's Hospital in critical condition. The man was conscious and is listed in stable condition.